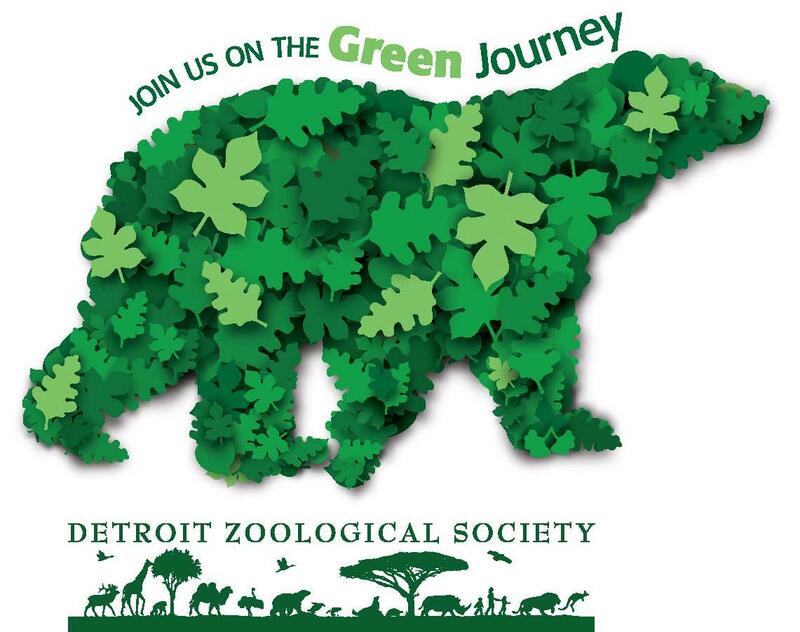 ROYAL OAK, Mich. – The Detroit Zoo will host its inaugural GreenFest on Saturday, April 20, and Sunday, April 21, 2013, 9 a.m. to 3 p.m. The Zoo-wide event is dedicated to celebrating Earth Day and educating Zoo visitors about environmental conservation. Each GreenFest guest who turns in a Green Zoo survey – which can be downloaded at detroitzoo.org beginning April1 – will receive a reduced admission price of $8, parking not included. Admission for Detroit Zoological Society members is free, but members are encouraged to participate in the survey. Green Zoo surveys will also be available at the admission gates during GreenFest. GreenFest will feature earth-friendly craft projects, an endangered species and green scavenger hunt, a 30-foot rock climbing wall (weather permitting), family yoga classes and animal enrichment. Off Broadway Productions will present a mini-musical about recycling at the Events Pavilion at 11 a.m., 12:30 p.m. and 2 p.m.
A Green Games Gallery will be hosted by the Detroit Zoological Society (DZS) Green Team conservation group, including games using recycled materials, storytelling and educational displays. The event will also include hands-on science experiments by the University of Detroit Chemistry Club, composting demonstrations by SOCWA (Southeastern Oakland County Water Authority) and exhibits by local conservation groups. All GreenFest activities are free with Zoo admission. A “Save Vanishing Species” semipostal stamp-cancellation ceremony will take place on Saturday, and the stamp will be available for sale throughout the weekend. Proceeds will benefit the Wildlife Without Borders Multinational Species Conservation Funds administered by the U.S. Fish and Wildlife Service. Anyone who turns in a used cell phone for recycling between April 7 and April 21 at Noodles & Company restaurants in Livonia, Northville, Rochester, Royal Oak or Troy (two locations) to benefit the Detroit Zoo will receive a free appetizer and a voucher for one complimentary admission to the Zoo’s 4-D Theater or Simulator Ride in the Wild Adventure Zone during GreenFest. Cell phones will also be collected at the event. GreenFest is supported by DTE Energy, Ford, The Home Depot, IKEA, Noodles & Company, United Healthcare Community Plan and Whole Foods Market. GreenFest is an initiative of the DZS Greenprint, a comprehensive strategic plan to refine and improve facilities and daily practices, develop new policies and programs and improve green literacy in the community. This entry was posted in Detroit, Things To Do and tagged animals, conservation, detroit, detroit zoo, earth day, education, friendly, green, Michigan, Royal Oak, zoo. Bookmark the permalink.